Patiala is a city in Indian state of Punjab. It is the headquarter of the district of the same name. The city is known for its turban (a traditional headgear) Salwar, Juti, Patiala peg etc. Quila Mubarak is located in the city. It is a castle built in 1763 by Baba Ala Singh. Quila Mubarak literally means fortunate castle. It is located in the heart of the city. 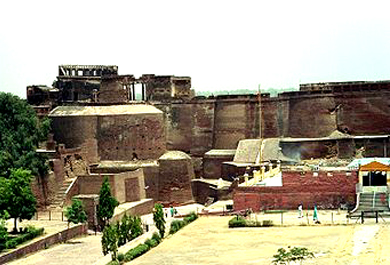 It is spread over 10 acres of land and house the main palace Quila Androon which literally means inner fort. The castle also houses a Darbar Hall, Ran Baas and a Guest house. A Darshani Gate and a Shiva temple are situated outside the castle. There are many shops along the street that surrounds the Quila. You can buy here precious ornaments and hand woven fabric. Quila Mubarak was the main residence of Patiala royals. 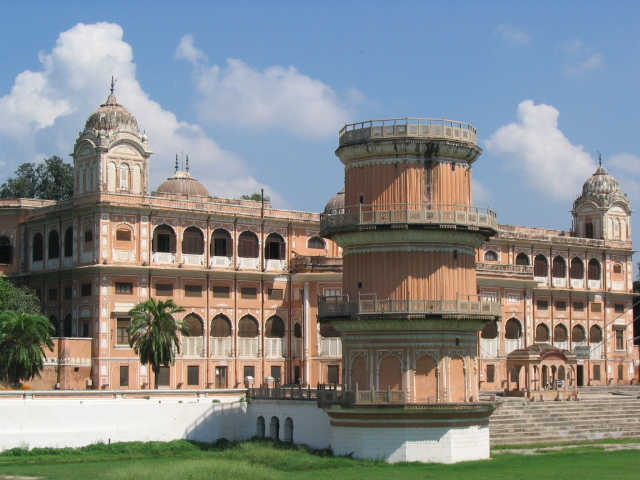 The castle is built in Mughal and Rajasthani architectural styles. Sheesh Mahal is another interesting place in Patiala. The Mahal is a part of old Motibag palace which was built in 9th century. Sheesh Mahal literally means the palace of mirrors. The Mahal houses a large number of frescoes. A lake is also situated in front of the palace and it adds the beauty of it. A bridge called as Lakshman Jhula built across the lake attracts many tourists. You can also visit a museum situated nearby the Palace. It is the museum which houses the largest collection of medals in the world. The collection was made by Maharaja Bhupinder Singh. 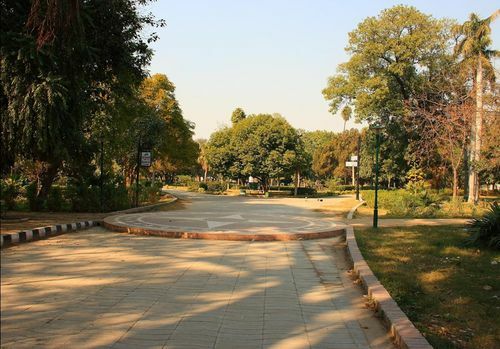 Baradari Garden is another place of attraction in the city of Patiala. The garden is located at Shernawala gate. The garden was set up during the rule of Maharaja Ranjidera Singh. The garden has many tall trees, Shrubs and flowers. It also houses the statue of Maharaja Rajindera Singh. Patiala is well linked by rail and road to other parts of the state and the country. Patiala railway station is connected by many trains to Chandigarh, Delhi, Mumbai and many other cities and towns of the state and the country. Many state run buses and other private vehicles are also available from Chandigarh and many other cities and towns of the state of Punjab. Chandigarh serves as the nearest airbase to Patiala. The airport is about 67 km away from it and is well linked to other major cities of the state. Temperature of the Patiala varies from 5°c to 25°c in winter while it is between 30°c to 43°c in summer. October to March is the best time to visit the city of Patiala.